Cash, check, and onsite credit card acceptance now available. Colorado West Pro-Serve & Investigations, LLC has teamed up with PayPal. We allow payments on this site and all payments secured and verified by PayPal. We accept all major credit cards, as well as PayPal account direct payments. We are your go to Process Service & Private Investigations in Grand Junction for the general public, and local, out of town, or out of state Law Firms and other agencies. 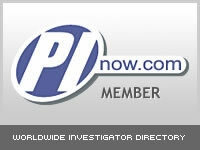 Private Investigations & Process Serving made easy! PRO-SERVED! Submit payment using PayPal or arrange to send check, cashiers check. On site credit card payment available as well. 2. Click and fill out > "Service Request Form"
1.Call us at (970) 628-4994 or E-mail us: click on this link > "Contact Us" and leave us a brief message. Colorado West Pro-Serve & Investigations, LLC is dedicated to fast, affordable, accurate and reliable Process Service & Private Investigations in Grand Junction for our customers. Colorado West Pro-Serve & Investigations, LLC understands that times like these can be stressful, and will treat your service request with utmost professionalism, so you can move on with your life and put this behind you.